Western Nevada has become a popular retirement destination in recent years due to its abundance of year-round recreation. This area is known for its lavish gambling and entertainment as well as great ski resorts. Baby Boomers love Western Nevada for its desirable climate, low cost of living and wide variety of indoor and outdoor attractions. Whether you're seeking a large amenity-rich 55+ community or a more private smaller community Western Nevada has it all. Western Nevada is the second most populous region in the state and includes Reno, Carson Valley, and the capitol of Nevada, Carson City. The Sierra Nevada Mountains and Badin and Range Region make up this area known as Western Nevada. There are three rivers that flow off the Sierra Nevada to the Great Basins including the Truckee River, Carson River and Walker River. 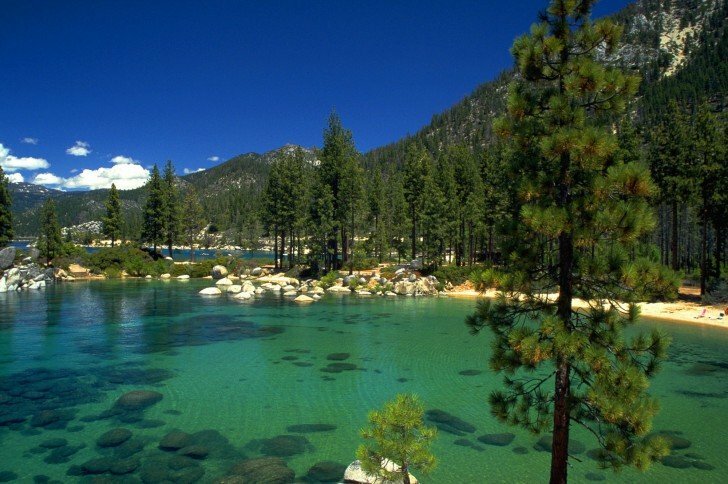 The southwestern part of this region consists of Lake Tahoe and deeply forested hills. There is a wide variation in climate and weather in this area due to the elevation differences. It ranges from wooded mountains around Lake Tahoe to the semi-arid high desert of the eastern regions in the rain shadow of the Sierra Nevada and Cascade Mountains. Active adults and retirees appreciate this area because it experiences wet winters and dry summers. Western Nevada is rich with history and culture and is generally known for the Reno and Lake Tahoe area. Retirees and Baby Boomers love living in this area because they get the best of both worlds. On one hand they can experience casinos, gambling and 24-hour entertainment and on the other hand they can appreciate all that Mother Nature has to offer. This area also has a strong mining history and is home to one of the richest silver finds in history by Comstock Lode. Reno is known for its casino background and birthplace of Harrah s Entertainment. Many annual events are held in Reno to encourage tourism. Some of these events include Hot August Nights, Street Vibrations, The Great Reno Balloon Race, bowling tournaments, and the Reno Air Races. Lake Tahoe, Truckee River, Pyramid Lake and the mountain ranges provide endless year-round outdoor recreation. The Sierra Nevada Mountains provide a winter wonderland where active adults can enjoy skiing, snowboarding, snowmobiling, snowshoeing and ice-skating. During the summer the fun continues with boating, windsurfing, hiking, fishing, river rafting, and biking. Western Nevada s unique blend of indoor and outdoor attractions, with hotels and casinos appeal to retirees. Active adults and 55+ residents love living in Western Nevada because there is something for everyone. Western Nevada has a low cost of living and a stable and reasonable housing market. Many active adults and retirees appreciate living in the state because there is no corporate or personal income tax, no inventory tax, no franchise tax, no unitary tax and no special intangible tax. The sales tax ranges from 6.8 to 7.6 percent and property taxes range from 3.02 to 3.66 percent depending on the county. Overall, people in Western Nevada are very healthy due to their active lifestyles. Western Nevada is home to around 16 hospitals including Carson Tahoe Regional Medical Center, Sierra Surgery Hospital, Carson Tahoe Continuing Care Hospital, Renown Regional Medical Center, Saint Mary s Regional Medical Center, and West Hills Hospital. 55+ active adults appreciate the fact that they are close to great medical attention if it is needed.